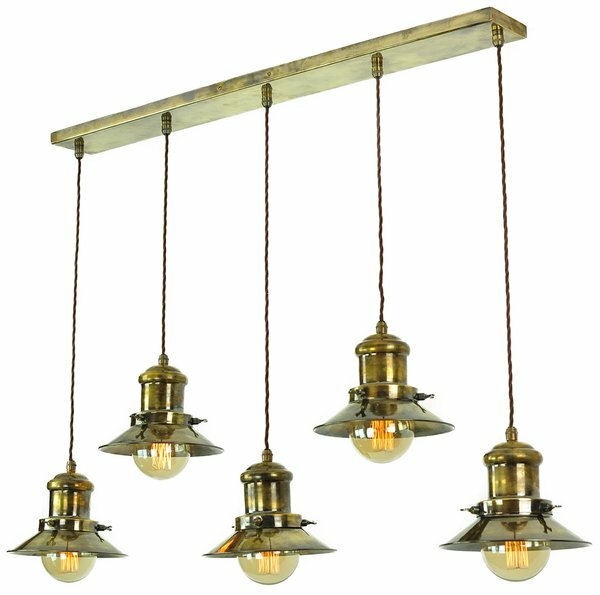 Description: Small Edison 5 light pendant solid brass shown in Antique Brass and Polished Nickel finishes with silk flex. Adjustable height. Static Height adjusts by shortening the cable (Note height to be set on installation then fixed). 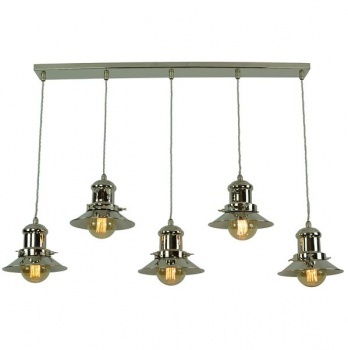 Shown with 5 x LB3 lamp (supplied Complete).